Pumice is a volcanic rock with a variety of uses. 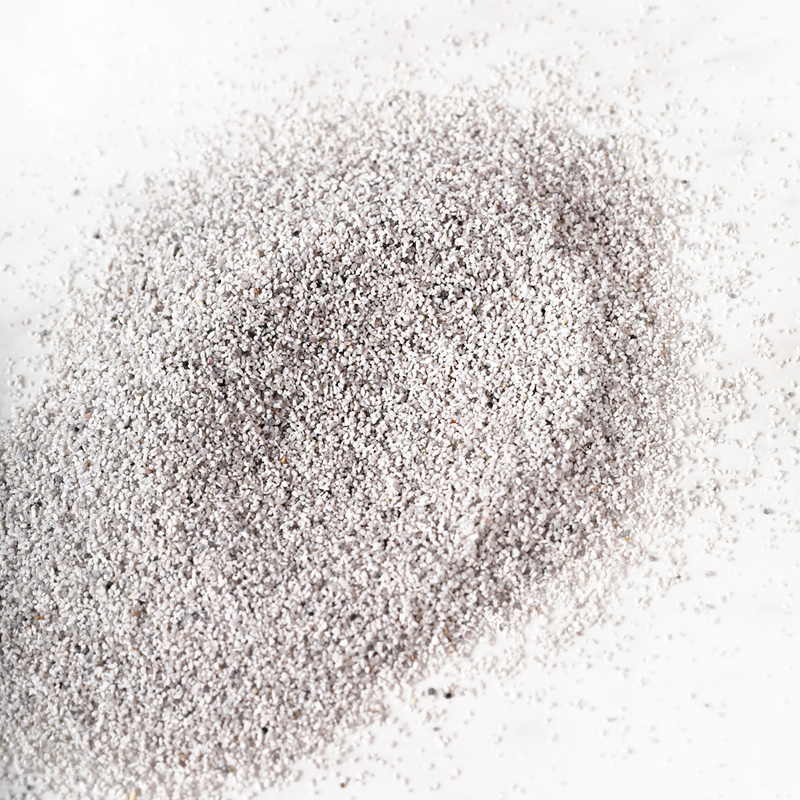 When ground into small particles, it’s perfect for scrubs like this one. 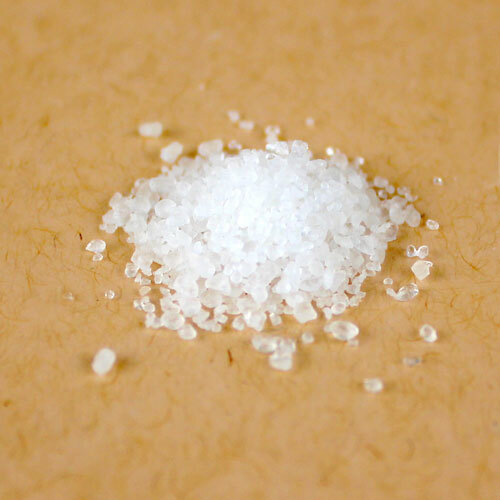 It contains pumice sand and fine grained Dead Sea salt for a powerful exfoliation that’s suitable for legs, feet, and dry patches like elbows. The scrub also has seaweed extract, which helps moisturize the skin. It’s scented with a unique blend of Sea Salt Fragrance Oil and peppermint essential oil, 2nd distill. 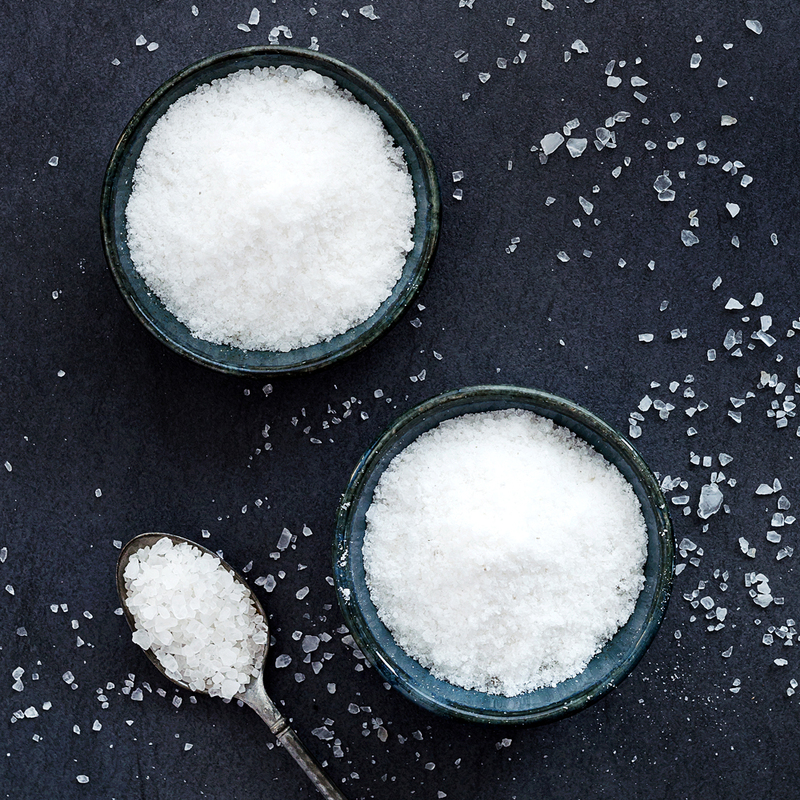 The Sea Salt Fragrance Oil has notes of seaweed accord, cucumber water, and white tea leaves – it really smells like the ocean. 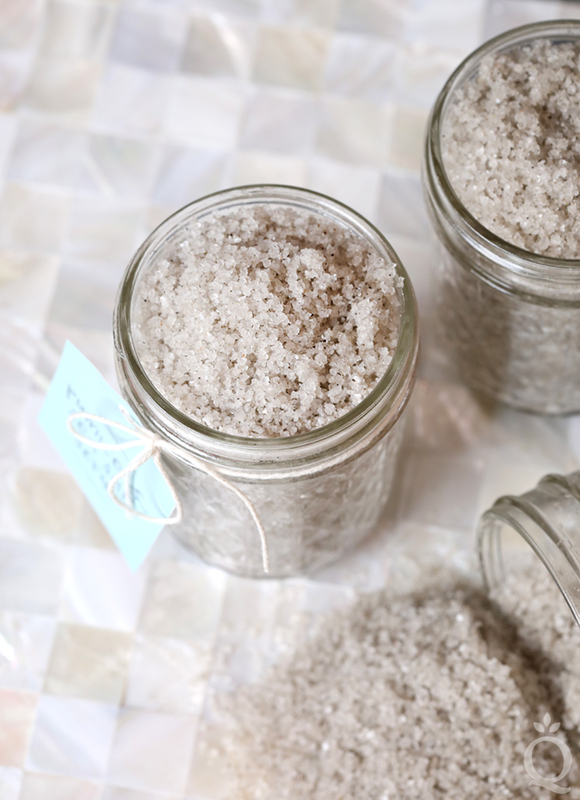 This scrub is quick and easy to make, so it’s a great gift option. Just choose a cute container, like these 8 ounce quilted jelly jars, and then download and print these free labels. We didn’t add a preservative to this recipe. If you plan on storing the scrub in the shower or if you want to sell it, you can add an oil-soluble preservative like Optiphen to protect against mold and bacteria. 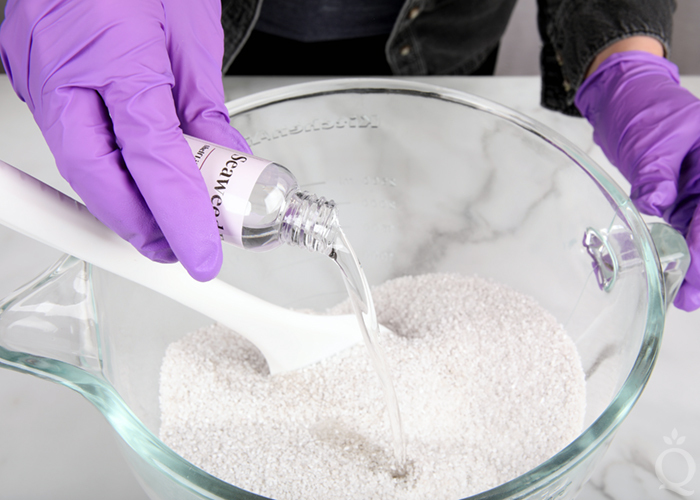 Click here to learn more about using preservatives in bath and beauty projects. 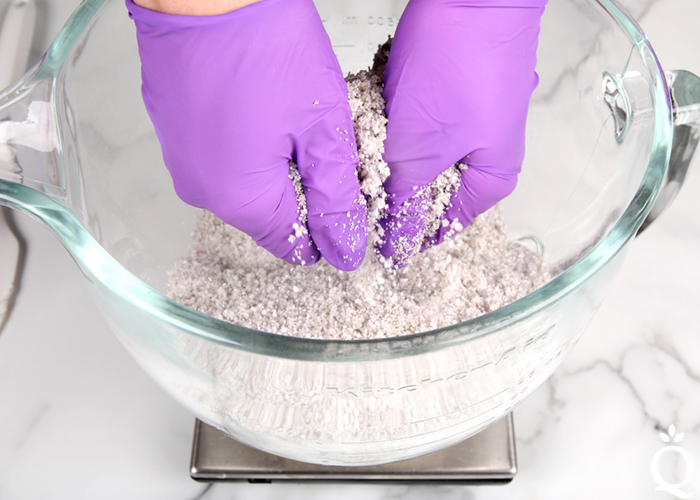 ONE: In a large bowl, mix together 32 ounces of fine grained Dead Sea salt and 8 ounces of pumice sand. 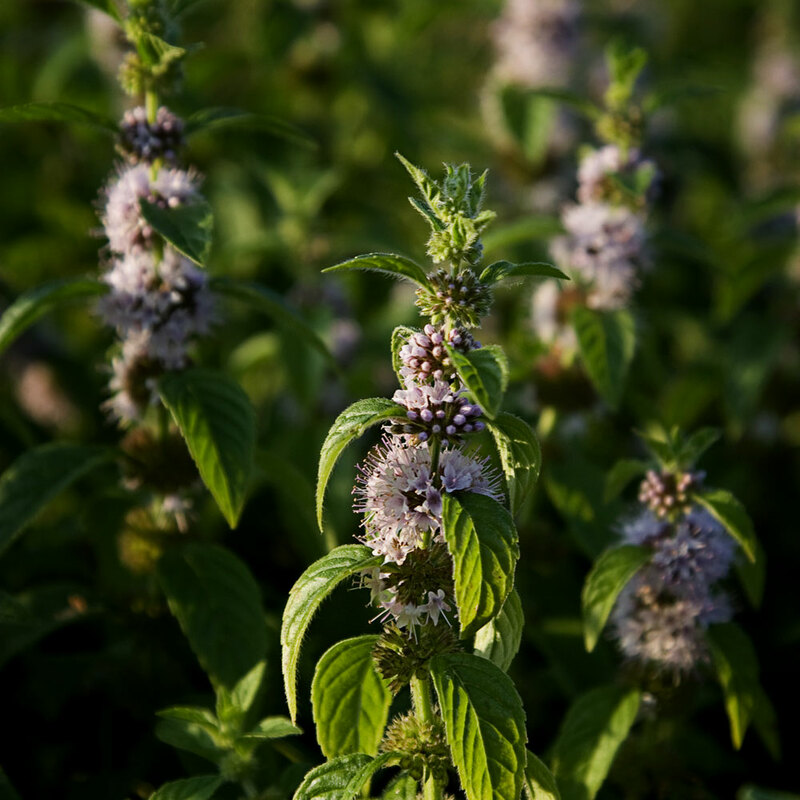 TWO: Add 2 ounces of seaweed extract, 0.6 ounces of Sea Salt Fragrance Oil, and 0.1 ounce of peppermint essential oil. Use your hands or a spatula to thoroughly mix together all the ingredients. THREE: Transfer the scrub to your containers. We used 8 ounce quilted jelly jars. 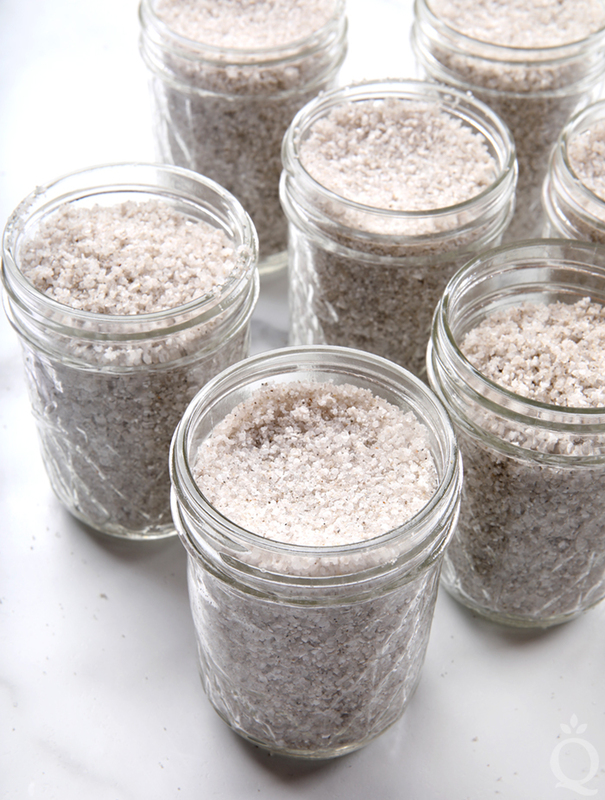 This recipe made 7 jars – each one had about 5.5 ounces of scrub. To use, apply the scrub to wet skin and gently scrub. Wash off and pat skin dry. Enjoy. 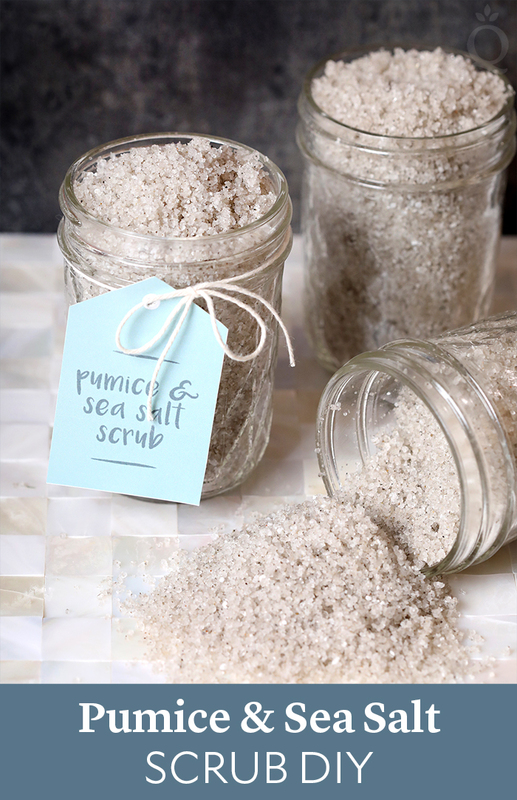 This recipe is made with new pumice sand, which will leave your skin feeling fresh and clean. 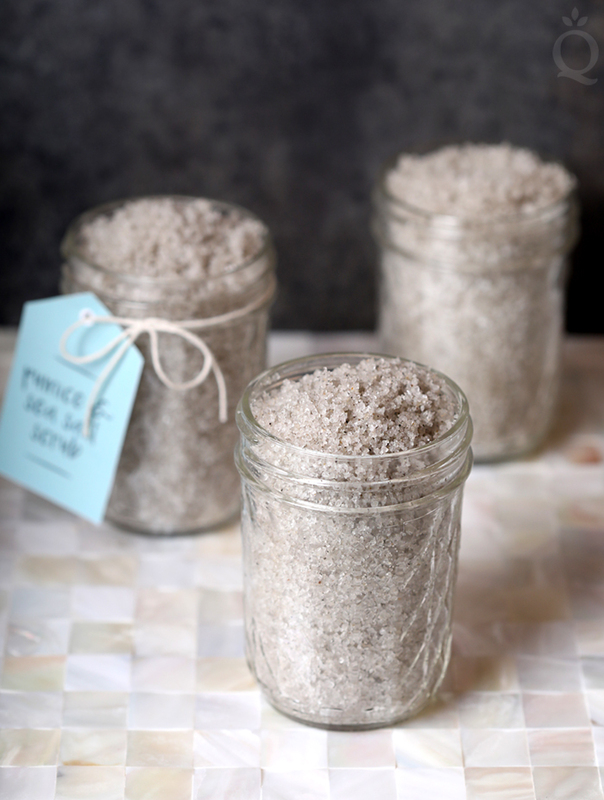 In a large bowl, mix together 32 ounces of fine grained Dead Sea salt and 8 ounces of pumice sand. 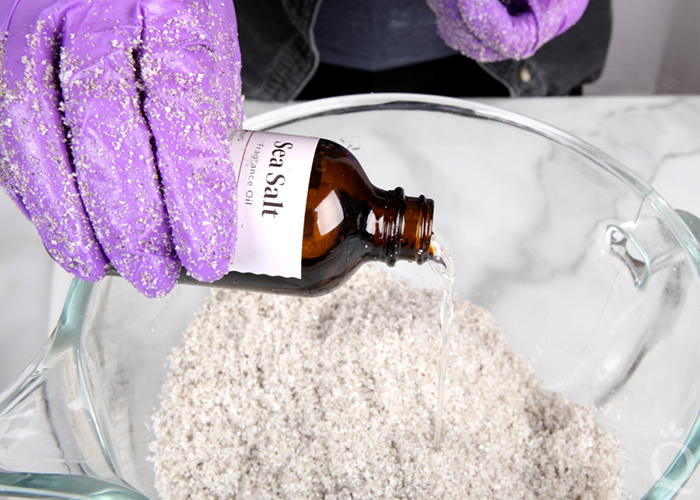 Add 2 ounces of seaweed extract, 0.6 ounces of Sea Salt Fragrance Oil, and 0.1 ounce of peppermint essential oil. 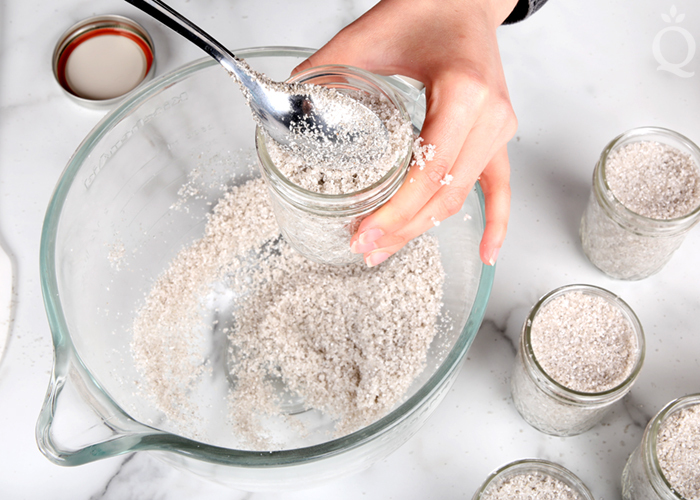 Use your hands or a spatula to thoroughly mix together all the ingredients. Transfer the scrub to your containers. We used 8 ounce quilted jelly jars. 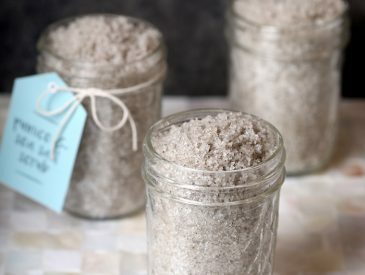 This recipe made 7 jars – each one had about 5.5 ounces of scrub. What would the shelf life be for this product? I would be adding Optiphen. I can’t wait to make this scrub!! We would recommend using this within a year as long as long as it is kept closed and no moisture gets to it. If water gets inside it may start to clump or bacteria can grow if it is stored in the shower. To prevent this you can use a preservative like Optiphen. 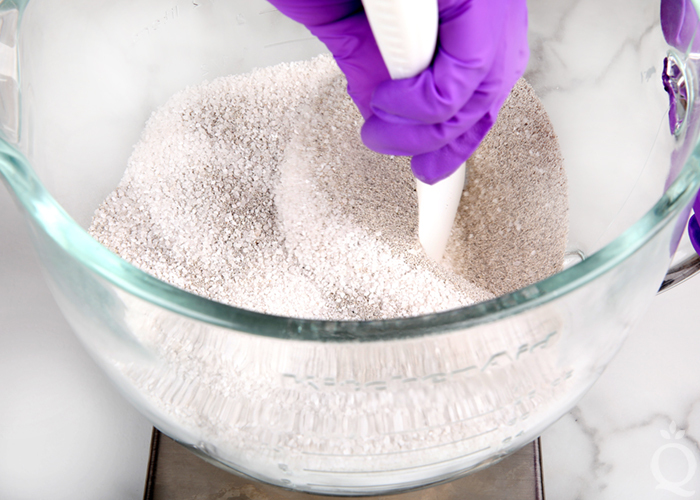 Once you’ve put your main recipe together completely, put a container on your scale and tare it down to 0, then add your scrub in – you’ll take the full weight of your product and multiply that by the usage rate for Optiphen (0.5-1.5%) and add that in. I was wanting something for a fall scrub fragrance. what would I need to do ? You can substitute in a different fragrance oil instead, no problem. Not all fragrances have the same usage rate though. Here’s a link to our fragrance calculator: https://www.brambleberry.com/Pages/Fragrance-Calculator.aspx – you can use that to determine a skin-safe usage rate for any project using our fragrances. It wouldn’t hurt to add one like Optiphen. This recipe doesn’t have any water in it, but it may get wet if people use it in the shower. If that’s the case, then a preservative will help prevent mold and bacteria from growing. Yes, but you will change the consistency of the scrub. It will be a light, fluffy scrub. So start with 1 oz. of Foaming Bath Butter and add the rest of the ingredients. If you want more bath butter, you can add more from there. Wow! This is such a simple recipe. I was wondering if I altered the recipe and used an oil instead of the extract what effect this would have. 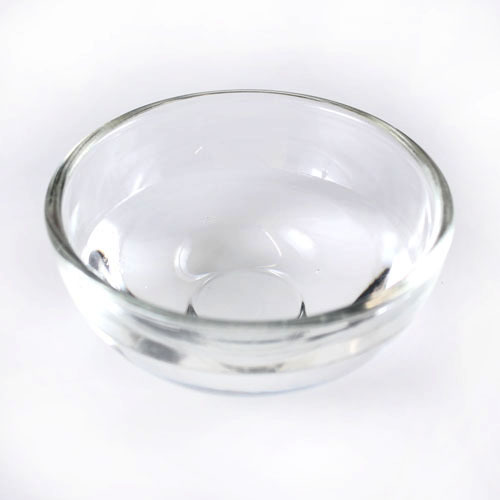 Would it affect the moisturizing properties, and would I need to use a preservative? I have not made a scrub before, but I would like to try. The extract is suspended in Fractionated Coconut Oil, so you could use a different lightweight oil like Avocado Oil or Grapeseed Oil. Any oil or extract will be moisturizing. You would not need a preservative since there is no water in this recipe.